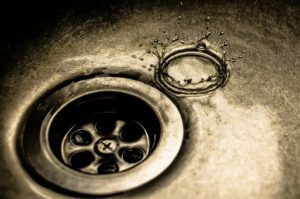 When you have stubborn clogs that aren’t going away with regular drain cleaning or by the use of drain snakes, hydro jetting can be the answer if clogged drains keep recurring. Hydro jetting is a type of high pressure drain cleaning equipment which pushes up to 4000 psi of water pressure through a sewer line to clear blockages. Unlike using a snake, which only puts a hole through a blockage, hydro jetting actually returns pipes to their original diameter. Hydro jetting gets the job completed like no other option available. Not only does it clean pipes, it unclogs them. Hydro Jetting is very efficient; it gets the job done quickly. Hydro Jetting is so powerful, it even removes bacteria. It is economical in the sense that it reduces the need for multiple services, such as using a snake, and drain cleaners, thus making it environmentally friendly as well. Hydro Jetting gets to the source of the problem, removing even the most stubborn clogs. Hydro Jetting is the best way to clean your home’s drains. This can be done as either routine maintenance, or when there is a pesky clog that just won’t go away. Either way, a professional plumbing service is necessary. If you think you are in need of hydro jetting for your home or business, call the professionals here at Wyman Plumbing. We have service technicians who have been with the company for over 20 years that have the knowledge and know-how to give you the best possible job in a timely manner. Call us at (941) 755-1595 or contact us online.